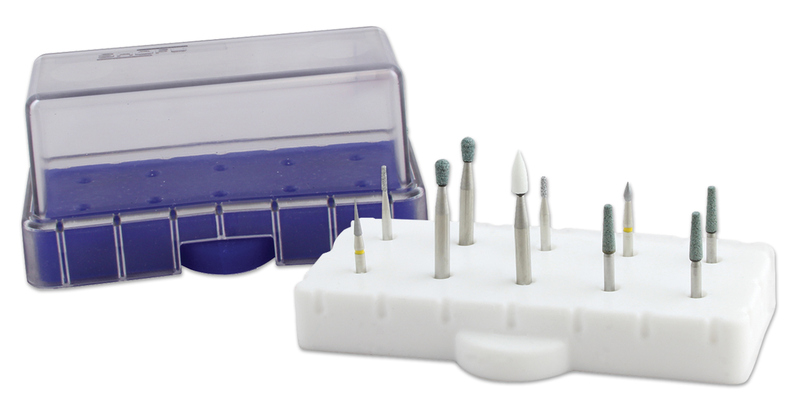 Unique silicone bur block grips all burs securely in place, yet allows for easy one-hand removal. Mix and match FG, CA and short shank burs. Fully autoclavable. Cover included.